Think your creative mind can write life-changing stories like J.K. Rowling or Stephen King? If so, you’ll want to study at a college that’ll expand your writing tool kit. Most colleges offer an English major. But you need a university with more than basic creative writing courses. Imagine nearby publishing houses, professors with published works in the field and tons of fun writing classes that will actually help you grow as a writer. Writer’s block comes with the territory. But the writing programs at these colleges give you tools to help to minimize the inevitability. And your writing will flourish. Want to see your name on the New York Times Bestseller list? Check out these top 10 colleges for aspiring writers. Gillian Flynn, author of Gone Girl, and Veronica Roth, author of the Divergent series, once rocked the color purple as Northwestern students. “Northwestern creates a very accepting environment where people are encouraged to produce and evaluate other students’ work in a way that enriches their own writing. This has contributed to making me become a better writer,” Northwestern junior Emily Jahn said. Second year students can apply for the creative writing program. If accepted, you’ll choose between poetry, fiction or creative nonfiction to start your writing sequence classes. Creative writing courses like “Writing the Unspeakable” examine writing unspoken text (like inner monologues). Don’t wait until graduation to get your first author credit. Helicon, a Northwestern literary magazine, originated when three poetry students wanted an outlet to display the student works. TriQuarterly releases a fall and spring edition of their magazine, where MFA creative writing students edit and publish student work. Channel your inner Hazel and Gus, okay? Okay. Young adult novel author John Green earned his English degree from Kenyon. “You have to apply for classes… and you work on strict deadlines. The professors… have so many tips that can elevate your writing quickly and effectively,” said Kenyon junior Erin Donnelly. “Kenyon shows how possible the dream of being a writer can be, but also how much work it takes to get there.” Take “Reading and Writing the Novella” if your dream includes coming out of a college class with a substantial, finished novella. And look out for Kenyon Review, Kenyon’s student literary magazine. If you find yourself constantly facing writers block, Kenyon may offer a solution. 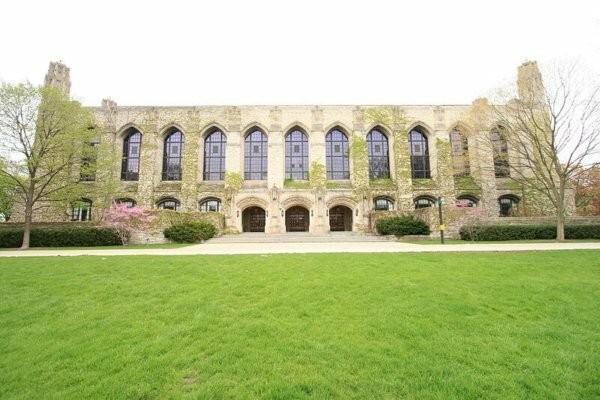 The buildings on campus look like castles with beautiful stonework and architecture, giving major King Arthur vibes. The scenery at any time of year gives inspiration to writers all around campus. Make your writing stand as strong as the Battling Bear mascot at WashU. Author John Gardner graduated from WashU and wrote the story “Grendel,” a retelling of the myth of Beowulf. If you don’t know what kind of stories you want to write yet, fear not. 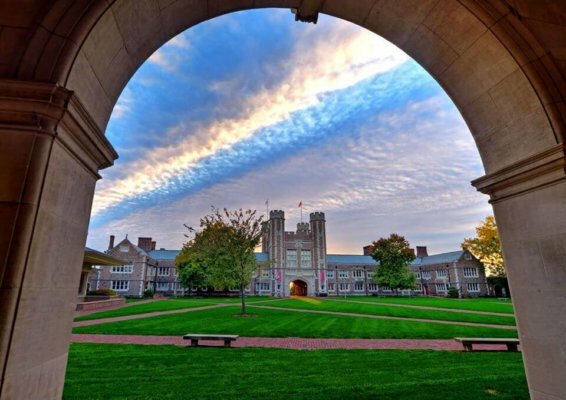 You can investigate different options thanks to many courses offered at the university, like “Writing Adventure and Creating Action,” “Travel and Outdoor Writing,” and “Writing The Short-Short Story and Ten-Minute Play.” Then get published in WashU’s literary magazine The Spectacle, published twice a year. The magazine emphasizes the “spectacle” of writing, encouraging works that don’t quite fit inside the ordinary box. The editors of the magazine want to provide underrepresented voices a chance to share their writing, including people of color, LGBT+ artists and people living with disabilities. Hesitate no longer and grow your writing at the same college as the spooky but great American poet Edgar Allan Poe. 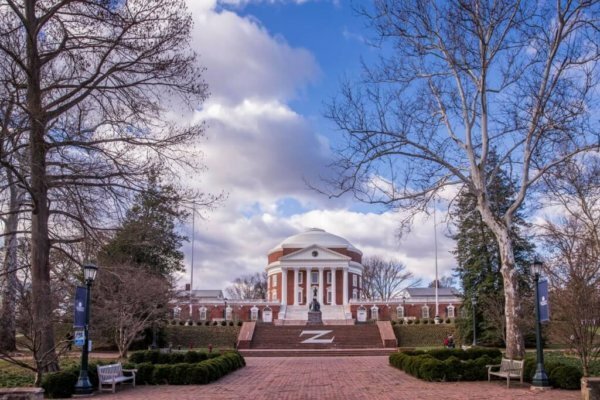 UVA offers an English major with concentrations in prose or poetry. “The wonderful literature classes I took at UVA put me in touch with writers who I will forever be trying to emulate in my own work,” recent UVA grad Jack Chellman said. “The fiction courses gave me a wide variety of ways to think of new creative ideas or get past a block in the writing process.” Aspiring travel writers can take “Travel Writing” where students actually go on local trips to practice what they learn in class. UVA’s impressive literary magazines also give writers a chance to get published. Meridian, published semiannually by MFA creative writing students, encourages all students to submit. The Virginia Literary Review, published biannually, accepts submissions from UVA students and members around the community. Looking to get into scholarly writing? University of Virginia Press has volunteer internships in marketing and digital imprint for undergrads and graduate students. Emory’s classes will also open your eyes to different lenses in literature. In “Health Humanities,” you’ll read iconic texts like Of Mice and Men then examine them through the lenses of health, illness and disability. Aspiring writers also interested in theater can pick up Emory’s joint playwriting major. Interested in scholarly writing? Instead get involved with Emory’s Open Access Publishing Fund. Look into The Hopkins Review and Thoroughfare, Johns Hopkins’ two literary magazines that offer writing opportunities for all students at the university, regardless of major. Aside from classes and workshops, the writing seminars program hosts free weekly readings where professors and visiting authors share their newest works. Past visiting authors include Zadie Smith, Junot Diaz, Chimamanda Ngozi Adichie (a Johns Hopkins alum), Jennifer Egan and Salman Rushdie. To apply for the creative writing program, students submit a substantial writing sample in the genre of your choice. 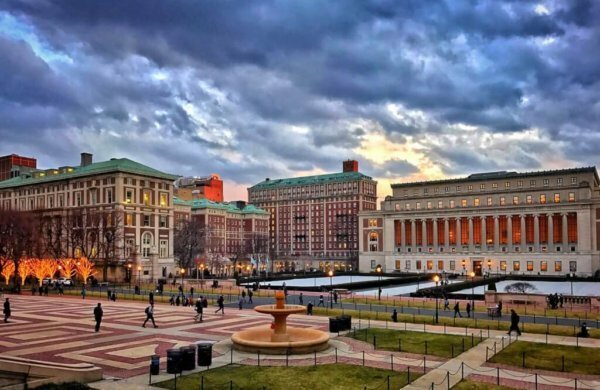 Once you make it into the program (and graduate), you’ll be among writing legends like Columbia grads Allen Ginsberg, JD Salinger and Langston Hughes. And when the writer’s block kicks in, head to Maxx Café to caffeinate and write in comfy couches or fancy arm chairs well past midnight. Stroll through Washington Square Park for an afternoon of people-watching to get inspiration for new characters on your way to class. NYU offers students a stellar creative writing program that once taught author Judy Blume. If NYC feels too basic, study abroad in Abu Dhabi or Prague. Or make it big on Broadway with an intense four-year BFA in dramatic writing. You’ll throw back to ancient Greek times to learn how dramatic writing evolved to what it is today. And then of course you’ll write your own. 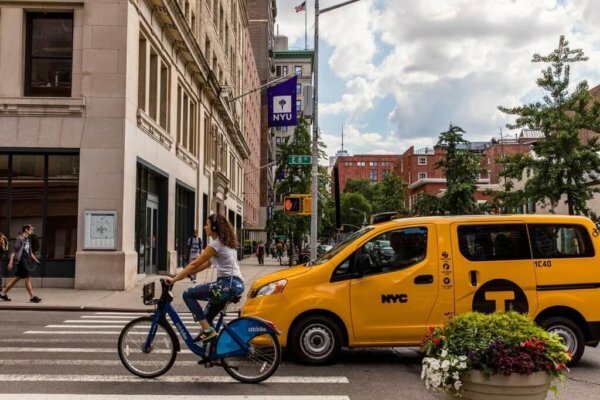 If you dream of writing for SNL, take “Writing for Late Night Television: Monologue, Jokes, Bits and Sketches.” In the summer NYU wants you to keep writing with The Summer Publishing Institute (SPI). The intense six-week program offers spots to rising college seniors to get a head start in the industry. Students can also get published in West 10th, NYU’s literary journal for undergrads. It showcases student work all over the university, edited and published by a team of students. Once your class critiques your work, get published in student magazines like Ink Lit Mag, specifically for first year writing students, or Earthwords. The Iowa Review stands as a nationally-recognized literary magazine edited by the faculty, students and staff in the writing programs at UI. They publish works of poetry, fiction and nonfiction three times a year. Stay sharp on your writing game outside class with six different literary magazines on campus. Your Magazine gets published at Emerson every month. Student writers cover a wide variety of topics including arts, culture, lifestyle and more. Stork, published once a year, is made up of students who dedicate themselves to improving student writing by creating a foundation between the writers and the editors. Next Post: Where Is the Love For Books?